Depending on who you want to believe, Peter Stumpf was either a severely deranged individual with an undiagnosed mental illness, a victim of the fight between Catholics and Protestants, or a werewolf acting under the command of Satan himself. Little is known about Peter Stumpf’s early life prior to his eventual confession to well over a dozen brutal murders. What we do know about Stumpf is that he was a farmer in the small German town of Bedburg in the late 16th century. 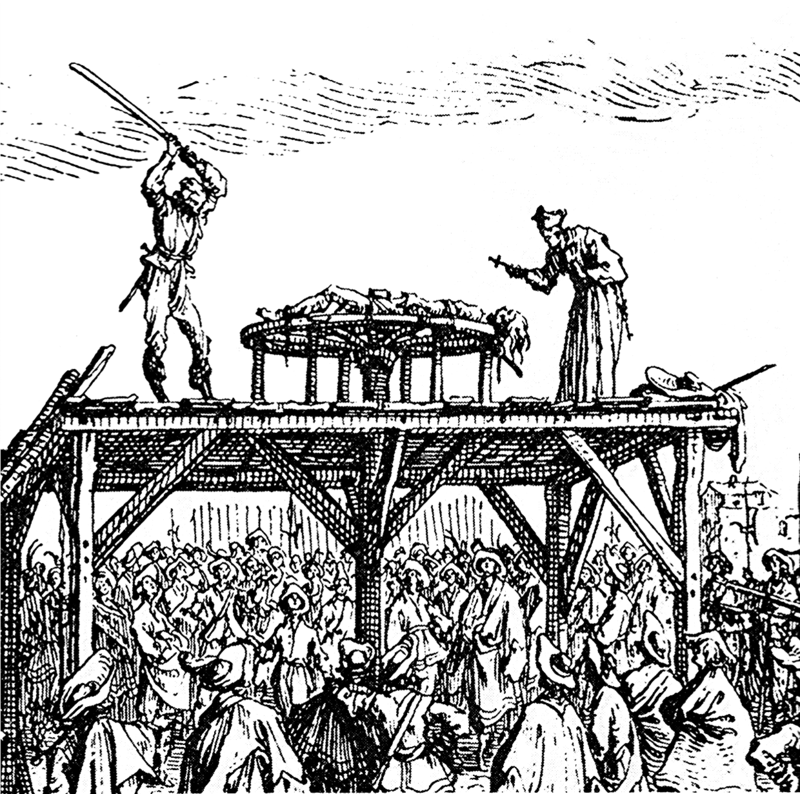 Stumpf was ultimately arrested in 1589 following a purported string of brutal deaths throughout Bedburg, originally thought to have resulted from wolf attacks. Stumpf became suspect number one after reportedly being caught red handed by a band of hunters tracking a large wolf, only to come across Stumpf instead, at which point they purportedly witnessed him transforming from wolf to man before their astonished eyes. When asked about the location of the belt, Stumpf insisted that he’d dropped it (how he dropped something explicitly designed to keep other things from falling off isn’t clear) just prior to being captured, which directly led to his capture. After a search for the belt where Stumpf claimed he dropped it turned up nothing, it was taken as a sign that Lucifer had snatched the evil artifact back before it could fall into anyone else’s hands… instead of, you know, that it maybe didn’t exist at all. Though fantastical, this account was corroborated by the group of hunters who had captured Stumpf and, as mentioned, swore blind that they’d been pursuing a large wolf when they happened upon the shape shifting Stumpf. Stumpf maintained that he’d used the belt over the years to turn into a lycanthrope. While making use of this unfathomable power, Stumpf claimed that he was overcome with an intense urge to consume blood and flesh. An urge he managed to sate for many years by killing sheep and new born lambs, often with his teeth, and drinking their still warm blood. Stumpf claimed that sometime later he then moved on to murdering and consuming human victims. Exactly how many people Stumpf is supposed to have killed wasn’t made clear by the official account, though he explicitly admitted to killing 14 children, supposedly including his own son whose brains he was rumoured to have eaten raw, and two pregnant women, whose unborn children he also cannibalized. Stumpf also explained that the belt gave him a voracious sexual appetite and that he’d courted many mistresses over the years, including a “succubus” sent to him by Satan. Beyond the succubus, Stumpf’s sexual conquests were reportedly to have included his own daughter, who purportedly bore him a child, which he killed as mentioned, his sister, and a local gossip (sometimes identified as a cousin) known as Katherine Trompin (or Katharina Trump). His daughter and Trompin were subsequently accused of being party to many of Stumpf’s murders and, like him, were sentenced to death. It may well be the case the Stumpf and his two cohorts really did commit brutal murder, serial killers seemingly having existed throughout history. And he may have really confessed all those things as reported in the official account of the events, which due to their shocking nature were widely copied throughout Europe after his execution. However, it has also been speculated that he may have simply been a victim of the politics of his time and hysteria over werewolves and other supernatural creatures. Bedburg, formerly a Protestant region, had recently been overthrown (in 1587) by Count Werner von Salm-Reifferscheidt-Dyck and his soldiers who were staunchly Catholic. Thus, it has been speculated that perhaps Stumpf, likely a Protestant as most were who grew up in the region, was being made an example of. Those who hold to this theory use as evidence the fact that Stumpf’s execution was reportedly done “in the pre∣sence of many péeres & princes of Germany”- an odd thing for the nobility to take the time to go witness. This is something not generally reported for the executions of witches and the like in the region around this time. Although, it may have been that his crimes were so fantastical that even the aristocracy were curious to come see the man. Whatever the truth behind the crimes, we do know from detailed accounts the absolutely brutal way Stumpf was executed. While Stumpf’s mistress and daughter were sentenced to be burned to death, Stumpf himself was sentenced to one of the most cruel forms of capital punishment known at the time- being broken on the wheel. 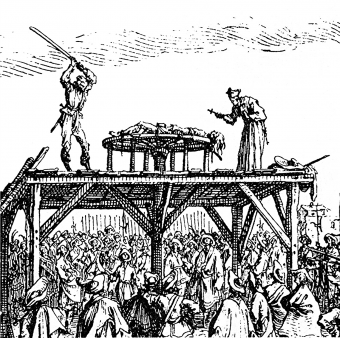 Thus, on October 31, 1589, Stumpf was dragged through the streets of Cologne, the nearest city to the hamlet of Bedburg, and strapped to a large wooden wheel with his limbs splayed out at awkward, excruciating angles. Searing hot pincers were then used to tear ten strips of flesh from Stumpf’s legs and arms, exposing the bone. Then, using a heavy, blunted hatchet, the bones of his arms and legs were expertly broken one by one. After this, Stumpf’s head was hacked from his body. His body was then burned along with his daughter, Beell “whose beautye and good grace was such as deserued commendacions”, and gossip Katherine Trompin. Whatever the truth of his reported crimes and confession, today Stumpf lives on in infamy as the Werewolf of Bedburg. Originally the word “man” was equivalent to the word “human” today- being wholly gender neutral. Before “man” meant a male, the word “wer” or “wǣpmann” was commonly used to refer to “male human”. This word almost completely died out around the 1300s, but survives somewhat in words like “werewolf”, which literally means “man wolf”. Women at the time were referred to as “wif” or “wīfmann“, meaning “female human”. The latter “wifmann”, eventually evolved into the word “woman”, but retained its original meaning. The word “wif” itself eventually evolved into “wife”, with its meaning obviously evolving slightly. However, imagine if that was 1989, holy crap would that be something to see on TV. @Ribos: Ha, every time. As someone who edits articles from a wide range of authors all the time, an almost universal phenomenon when typing dates is that they will invariably occasionally type 19XY instead of whatever it’s supposed to be. This is especially true when the dates occur in the end of a century like 1589 becoming 1989. Interestingly, even my audio person occasionally does this when reading out the year of something. And, of course, my eyes often slide past this when editing as well. What I’m curious to see is with people born after 2000, once they start becoming professional writers, if the phenomenon will disappear or if they’ll start typing 2012 instead of, say, 1512.